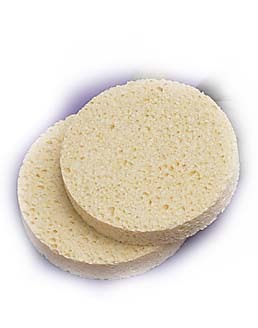 Feature: Our reusable esthetician cleansing and application sponge is used for most skin care products. Smooth and non irritating with most products at home or in your favorite spa. Fine pore strengthened cellulose sponge offers in excess of two dozen plus treatment applications. Our sponge authors a myriad of uses while maintaining its smooth application abilities. Usage: Our quality two pack skin care application and cleansing sponges are for most skin care treatments and procedures. Exfoliating results with most mildly abrasive cleansers are successful and desirable. Danielle is desirable.